Over the last 20 years or so there has been a revival in those wanting to know more about natural home remedies. And there are many of us today who use these remedies for a number of good reasons. Many of them offer safe, effective methods of treatment, with no side-effects. If you have a common, everyday ailment what better way to treat yourself, than to do so with simple ingredients straight from your kitchen cupboards? It is really only the first 3 subjects that this site is interested in. This is because with the first 3 you can self-treat yourself with things from your kitchens. Homeopathy, however, requires little pills or drops, which although are very effective - I should know , I was brought up on homeopathy - but these are not what can be found in kitchen cupboards, in the majority of homes. Because this site's focus is being able to treat yourself for common illnesses with bits and pieces from your fridges, gardens and pantries, homeopathy is not included anywhere in the website. Naturopathy is the common sense approach to treating what is wrong with you. The basic principle of this branch of natural home remedies is that we all have the ability to cure ourselves and restore that balance through good diet, exercise, relaxation and using hydrotherapy. Hydrotherapy, using either hot or cold water to heal, dates back to the time of the Ancient Greeks. A simple example of hydrotherapy is using hot water in trying to get rid of a headache. Placing both feet into a basin of hot water, and a hot cloth at the back of the neck at the same time, will get rid of most headaches. Another use of hydrotherapy is using a cold compress to break a fever. By placing a small towel in some cold water and wringing it out and placing it directly on the forehead, repeating when it gets warm, can bring a child's temperature right down. So for those of you who have done this with your kids in the past, you may not even have been aware that you were practicing naturopathy. However, it is more than this. 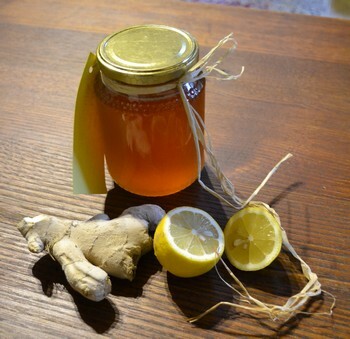 If you reach for the honey and lemon to cure a sore throat, or some ginger to help ease your period pains, then this is using naturopathy as a means of helping your problem. I think you will agree, that out of all the therapies, this is the one that most of us use. Herbalism, or the use of medicinal herbs in treating illnesses has been practiced since time began. Not only that, but it is the most widespread of all forms of medicine across the globe. It is said that of the all the plants on the plant 1% is used for food but between 10 - 15% used for medicinal purposes. At some time, all cultures have used herbal medicine as a way of treating their people. It is just a pity that today, in the 21st century in the Western World, we seemed to have lost the art of even being able to identify healing herbs when we see them in the fields or alongside the road, let alone know how they were used in the past. These days people are becoming more aware of herbal remedies and are willing to try them. Herbal teas, for example, can now be found in every supermarket, and are readily drunk by a large portion of the population. However, there are some herbs that you cannot take when you are pregnant. There are also some herbs that give people allergic reactions whether they are taken internally or externally, and others where they only need a very small amount of the herb for it to be effective. Nor should one herb be taken for any long time continuously. 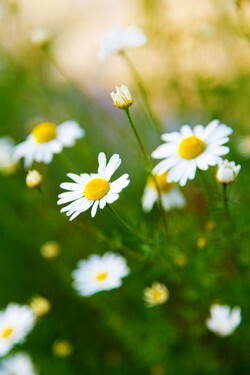 Aromatherapy is the use of essential oils that have been distilled from plants, herbs and flowers for healing purposes. This method of healing was first used centuries ago by the Arabs. This knowledge later spread to India, and then much later to the Western World. Essential oils are really very potent, and so you only need a couple of drops when using them. Which is just as well, as they can be very expensive due to the fact that many flowers or plants are needed to make the small bottles they come in. Essential rose oil for example takes 5000 roses to make just 1 teaspoon of rose oil! Because they are so precious essential oils are often mixed with a carrier oil to make it go further. Although these carrier oils differ from country to country in a more traditional use, it is widely accepted that sweet almond oil is one of the best carrier oils to use because it is neutral and doesn't affect or impart any of its qualities onto the essential oil in any way. Most of the time you use these oils in your bath water. It is the smell of the oils that can help relax you, and bring relief to stress, headaches etc. There are also times where you can place a drop or two onto your head. A couple of drops of lavender oil on the temples, for example, can bring relief to a headache. Although there are other natural home remedies about, the 3 main branches of natural remedies mentioned above are the ones that are used throughout this site. This is because these 3 therapies have been widely practiced for centuries, have been well studied and researched, and are widely accepted. Natural home remedies from acne to bladder infections and burns, to scabies and warts, we have the a-z of home remedies for common complaints. Click on the links below for more details on the various complaints and ways in which you can bring relief for these ailments.